ChargeIt by Jay Reef Turquoise Charger Plate 13"
Home > Products > ChargeIt by Jay Reef Turquoise Charger Plate 13"
Add an upscale touch to any table arrangement with the ChargeIt by Jay Reef Turquoise Charger Plate 13". 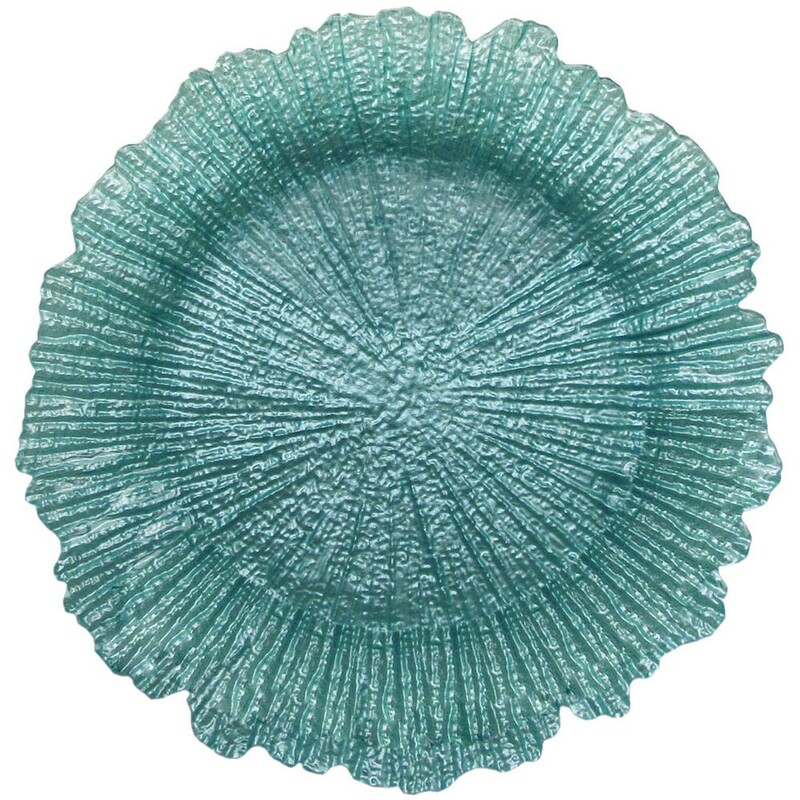 Boasting a coral reef-inspired design with a charming turquoise finish, this product provides a beautiful backdrop for a variety of dinnerware. Thanks to its solid glass construction, this food safe charger has a delicate look that belies its strength and durability. Perfect for wedding receptions, upscale banquets, and formal affairs, this piece enhances your table presentation and protects the table from spills and other mess. To clean and maintain this charger plate, hand washing is recommended.